Though mulled wine (gluhwein) is generally considered the most popular winter drink – at least in Europe – Mulled Cider is becoming increasingly common in the UK. As you can imagine, this warming drink is served almost universally in the cider pubs/barges/dungeons of the West Country at this time of year. With this recipe, it’s easy to bring the spicy, festive feeling of Mulled Cider home! 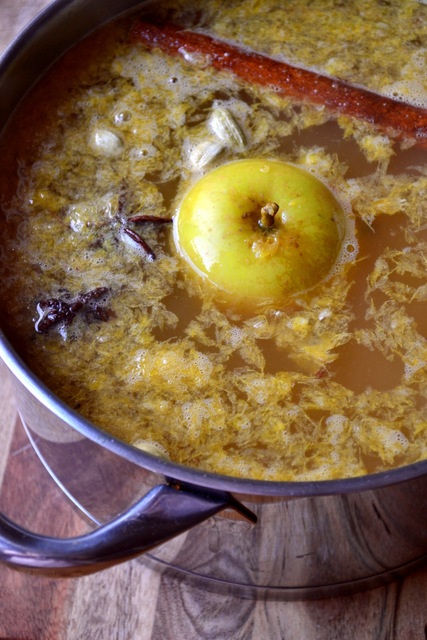 There are two things to remember when mulling; do not over-mull your cider and it’s best not to let it boil. Regarding the first point, 30 minutes should be sufficient to instill the flavours of your spices in the mulled cider – though taste as you go. Over-mulling your cider, or indeed wine, will only serve to mask the flavour of the cider, potentially to the point of unpleasantness. As for the second point, allowing the cider to boil will likely impair its flavour. Besides, it doesn’t need to be that hot – you’ll just scald yourself. Local connection: If you live in Bristol and enjoy cider, consider popping into the Bristol Cider Shop on the Christmas Steps. The owner is very helpful indeed; he suggested sweetening the Mulled Cider with apple juice for a more natural flavour than is afforded by adding sugar. 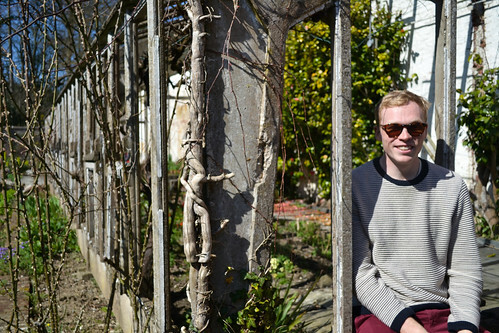 He also recommended using a dry cider – in this case Hecks Dry Farmhouse – as it can be sweetened to taste. It simply gives you a little more control of flavour. 1. Heat all of the ingredients, except the apple juice, together for 30-40 minutes – do not boil. Sweeten to taste with some good-quality apple juice, pass through a sieve and serve. Cost: You should certainly use good-quality cider for this recipe and while this increases the cost a little, it is certainly worth it. Still, using apple juice certainly makes the cider go a little further. As such, this large batch of mulled cider should set you back in the region of £6. Looks fabulous! And worthy of a hangover! Big Man loves mulled wine and he loves cider so I will have to make this for him. Your cider looks gorgeous! I could just do with a glass of this – very festive! 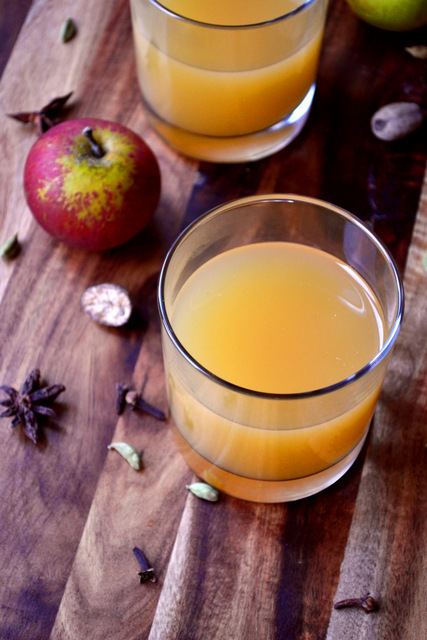 Yum, this looks great 🙂 I make my own cider and think I might try adding the spices while it’s brewing for a festive cider. That sounds great, a fantastic idea! What a great idea!! I had some mulled wine last night and thought of making some, but cider sounds even better! Will try out the Bristol Cider shop when I’m there after New Year, any other tips for must do/eat places? Both are great and I have recipes for each :D. There are so many places to visit – it depends what sort of thing you like. There are great websites with info, or you could send me an email! 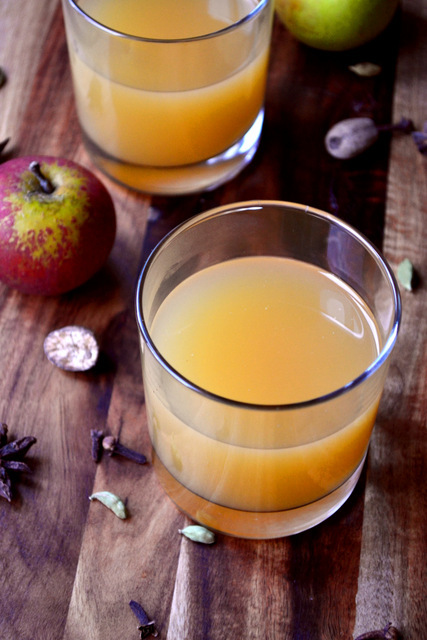 I’ve been looking for a good mulled cider recipe – so this is very timely. Thank you! Very nice Nick. I could see myself necking a pint of this along with last week’s cake. This looks really delicious! I made some cider last week for a party. You’re definitely right about not letting it boil. Thank you – yes, boiling cider is a sin. This is great – I’ve been looking for a mulled cider recipe for this year. I’ve already drunk way too much gluhwein this year and need a change! Hah – not too much of a change, but just enough to allow yourself to drink more. I like it. Oo yum!!! This on my to do list now for over Christmas! It is indeed! Very warming. OH don’t do that – so expensive! Much cheaper and better to go it alone! Please do.